Wondering what all this talk about "Agile" is about? This eBook provides a brief overview of the business reasons behind the evolution of agile development methods. The book discusses why agile methods were developed in the first place, what is different about agile methods, and the major benefits to tbe gained from employing them, including reducing risk, increasing control, speeding up communications, and improving customer satisfaction. 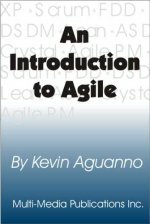 An excellent resource executives, managers, and developers who are new to agile methods and want to understand their common foundation.